Annick Renaud-Coulon, President of SAS Univencis and founder of GlobalCCU, France. Provide vision and impetus for developing and sustaining GlobalCCU on the long term. Bring the leadership necessary to achieve GlobalCCU's vision and mission. Lead the development and implementation of the overall GlobalCCU's strategy. Lead, guide, direct, and make the governance applied by the Advisory Board, the Awards Advisory & Judging Committee, the members of the network, the GlobalCCU Team, the GlobalCCU Partners, and all other external stakeholders. Consult the Advisory Board on the GlobaCCU strategy, direction, initiatives and potential issues. The Advisory Board is the inspiring authority of GlobalCCU. Enrolled for 2 years, the Advisory Board members are the preeminent ambassadors of GlobalCCU. They help the President to define, orient and apply the strategy; they inform on the trends in the industry; they provide insight to create and shape the services needed from GlobalCCU by its members. 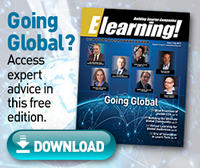 Contribute to develop and sustain GlobalCCU as The global network of highly regarded corporate learning leaders. Stimulate inspiration by bringing cultural, technical and economical knowledge and experience from all over the world. Provide guidance that will shape the future of the profession at the global level. Provide information on the trends in the profession and the current strategic and operational needs of the Corporate University Leaders. Advise the management team to run GlobalCCU efficiently and generate value; suggest improvements and give honest feedback. Challenge the importance and priority of the topics discussed, respond to questionnaires, participate in strategic monitoring, recommend partners and sponsors. Provide efficient advice and assistance when required, in particular for the activities related to the GlobalCCU Awards and the GlobalCCU Platform Premium Services. Participate actively in the exchanges in the GlobalCCU Platform. 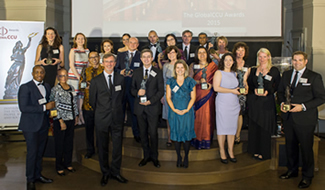 Participate in the GlobalCCU main activities, like the GlobalCCU Awards Ceremony and the GlobalCCU Forum, in person. Help to find sponsors in their respective countries for the GlobalCCU Awards and the GlobalCCU Platform. Support the communication and take care of the reputation of GlobalCCU worldwide. Communicate with the Corporate University Professionals and the media of their own country to spread the word on GlobalCCU, provide possible contacts to GlobalCCU, promote GlobalCCU towards their LinkedIn, Twitter and Facebook contacts. Julia is responsible for Strategy, Learning Technology, Learning Design and Delivery across the McCann Worldgroup agencies in EMEA. She has more than 9 years of experience in HR and Learning & Development with fields like HR Strategy, Talent Management, Recruitment, Employer Branding, Training Design and Delivery, leading a Corporate University, Learning Culture and Leadership Development. She supports the network as an internal trainer and coach. Prior to that she worked 10 years in Communications Consulting and Communications Management with a focus on Corporate Communications, Corporate Publishing, Internal and HR Communications and Change Management. The strong combination of communications experience, Talent and Learning and Development work equips her with the best possible tool box and knowledge to design and deliver engaging and business relevant learning. This combination pays out on all levels to provide an outstanding Employee Experience. Her subjects of interest are learning technologies, leadership development, networking, productivity and engagement. 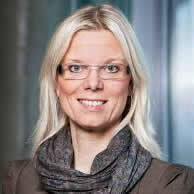 She is a member of the advisory board of the GlobalCCU. The McCann Worldgroup is a roster of eight best-in-class communication companies. With operations in 120 countries, over 23,000 employees and eight decades of multi-national experience, McCann has been recognized as the creator of the modern global advertising agency model. Chris Hardy, Ph.D., Director, Plans, Policy, and Leadership Support, is the Strategic Planner for the Defense Acquisition University, an award-winning corporate university serving a 128,000 corporate workforce. As such, Dr. Hardy helps set the direction for the university and recently implemented an in-depth strategic planning system to rapidly transform the DAU into a Premier Corporate University serving the Department of Defense. Included in this transformation is a unique enterprise-wide, performance based planning system supported by a technology drive business and learning analytic infrastructure that have repeatedly been recognized as a best-in-class practices throughout the public and private sectors. Dr. Hardy has a Ph.D. in Adult and Continuing Education from Virginia Polytechnic Institute and State University. Prior to his current position, he served both in government and recently private industry becoming Vice President, INNOLOG, Inc., a Global Supply Chain Logistics Company headquartered in McLean, Virginia. David Li currently works in SAP as Vice President of Global Customer Operations University for Greater China. David has more than 16 years of experience in Corporate Sales Enablement and Learning and Development. Most recently before he joined SAP, David was Head of Sales Capability of the Mobile Devices Sales Group for GAMEA (Great Asia, Middle-East and Africa) at Microsoft, where he was responsible for a variety of organizational capability requirements and driving the adoption of targeted training solutions aligned with business strategy. Prior to Microsoft, David built a strong record of success in various roles with Cisco, Motorola and Nokia. He was also a training consultant with Franklin Covey, Achieve Global, and, in his first role as a sales manager with the Sheraton Hotel Group. David holds a bachelor’s degree in Economic Management and majored in Hotel Management. David lives with his wife and 12 year-old son in Beijing. In his spare time, David indulges in fine art digital photography, sports, music and reading. He was also a steering committee member of Project Hope during his years with Cisco, which helped children in poverty-stricken, rural areas of China complete their elementary school education. Born in Ardahan, Turkey, Bahattin Aydın graduated from Boğaziçi University, department of Psychology in 1995. He started his career at United Parcel Services as Humans Resources Manager in 1997. Between 1998 -2010, he worked as Group Manager in Recruitment, International Operations and Informatics Departments, and worked as Director in Retail Group in Yıldız Holding’s Human Resources General Management line. He worked as Director of Human Resources of Sugar, Chewing Gum, Beverage and Marketing Departments in Yıldız Holding until 2010. In 2010, he joined Avea as Human Resources Senior Director and then Türk Telekom as Chief Human Resources Officer and served until October, 2016. Aydın led the HR part of the biggest company integration in Turkey and as a result of these efforts, Türk Telekom Human Resources Team has been rewarded with globally well-known awards. He has been working as Yıldız Holding Deputy General Manager since January, 2017. Aydın attended Harvard Business School and INSEAD Leadership and Human Resources Management programs. Aydın, who has Coaching Training İnstitute (CTI) Professional Coach Certificate, is also member of Organizational Learning and Team Coach of Learning Organization. Aydın who is the Chairman of Boğaziçi Yöneticiler Vakfı’s Board of Trustee, also lecturing at various universities as guest lecturer in the fields of human resources. 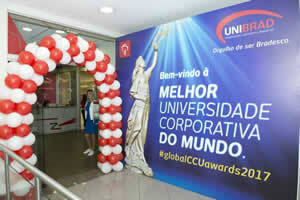 Glaucimar Peticov was elected Department Officer, currently responsible for the Human Resources Department and for UNIBRAD – Universidade Corporativa Bradesco since June 2011. She began her career in August 1984, at Banco Econômico S.A. and then, she worked at Banco Excel Econômico S.A. and also at Banco Bilbao Vizcaya Argentaria Brasil S.A., currently named Banco Alvorada S.A. In September 2003 she was transferred to Banco Bradesco S.A., and, in December 2009, she was promoted to the position of Executive Superintendent. Member of Managing Body of Fundação Bradesco. Officer of ADC Bradesco – Associação Desportiva Classista. Chief Executive Officer of ARFAB - Associação Recreativa dos Funcionários da Atlântica-Bradesco and Clube Bradesco de Seguros. Member of the Deliberative Council of FEBRACORP Live University. Deputy Member of Fiscal Council of Top Clube Bradesco, Segurança, Educação e Assistência Social. Secretary Officer of SINDICREFI - Sindicato das Sociedades de Crédito, Financiamento e Investimento do Estado de São Paulo. 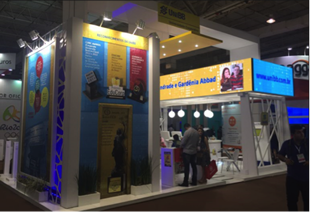 Officer of Generation and Knowledge and Content Management of ABRH Brasil – Associação Brasileira de Recursos Humanos (Brazilian Association of Human Resources). Secretary Officer of FENACREFI - Federação Interestadual das Instituições de Crédito, Financiamento e Investimento. Psychology from Universidade São Marcos. Graduation degree "Lato Sensu" in Human Resources Administration from Fundação Armando Alvares Penteado - CENAP. Advanced Management Program from Fundação Dom Cabral. Strategic Human Resource Planning from University of Michigan Business School - Ann Arbor, Michigan, USA. Senior Executive Program from Columbia Business School - NY, USA. Negotiation and Competitive Decision-Making from Harvard Business School - Boston, EUA. Leadership at the Peak Program from Center for Creative Leadership - Colorado, USA. Tatiana Matos, Manager of Leadership Development, Career, Culture, Engagement and Diversity globally at Vale. She has more than 18 years of experience in HR and Education in different fields: Learning & Development, Career & Succession, Talent Acquisition and Engagement. At Vale, she had launched a global policy of Recruitment and Selection and implemented several programs for attracting young talents and foster the talent pipeline. At Valer, Vale´s Corporate University, Tatiana has implemented a strategy to introduce different ways of learning at Vale, based on the 70:20:10 concept. Also, she was responsible for defining learning strategies and implementing technical and leadership programs for many operations (Mozambique, Oma, New Caledonia, etc). In the last years, she was focused on Leadership development and has implemented different initiatives in partnership with renowned Executive Education institutions, such as IMD, MIT and Fundação Dom Cabral. Recently, she has launched Vale´s Career Center. Vale is a global mining company with headquarters in Brazil. We are leaders in the production of iron ore and the second largest producer of nickel. With operations in 30 countries, Vale has more than 70.000 employees. Before joining Vale, she worked in SCJohnson, a multinational manufacturer of household cleaning supplies and other consumer chemicals for almost 5 years as an HR generalist. Tatiana has an MBA at IBMEC Business Management School and received her bachelor degree in Psychology at PUC-RJ. She appreciates sharing her experience with other companies and HR professionals and has been organizing and delivering presentations about Talent Management in different forums. Head of Barilla Lab for Knowledge & Innovation, Corporate University of Barilla. Filippo is passionate about learning and organizational dynamics and cultural change, and this current position offers him the possibility to put passion at work. Before joining the Barilla Lab, still within the same Company, Filippo covered several positions: first Packaging Innovation, then member of the Innovation Team, a multifunctional project run with the support of Gary Hamel’s consultancy firm, and finally Innovation Practices Development manager, in charge of boosting the innovation capability of the company through direct support to business projects. During this career path across the organization, Filippo had the chance to learn all languages in the Company, an ability that makes him a relevant partner also in his new function, dedicated to Learning and Development, Knowledge Management, Cultural Identity and Evolution at global level. Before joining Barilla, Filippo worked at TetraPak, where he developed his skills and knowledge in Technical Packaging and Consumer and Market Understanding. When quitting TetraPak, Filippo was head of the Packaging Development Unit, a global function in charge of all product performance analysis and development. Filippo graduated first in Nuclear Engineering (La Sapienza University, Rome), and then, in Social Sciences (Alma Mater Studiorum, Bologna). He’s a marathin runner and loves reading both fiction and essays, always keeping a glance at possible implications for life, both private and professional. Christian Standaert is General Manager of ArcelorMittal University, the corporate university of the world’s leading steel company with 280,000 employees in over 60 countries. Born in 1959, he graduated in 1982 as a metallurgical engineer from the University of Gent and joined Sidmar, now ArcelorMittal Gent, in 1983 as a project engineer in the process modelling department. He obtained an additional master in Industrial Engineering in 1990. He occupied different positions in the group, merely in the field of research and development and quality management in Gent (Sidmar and OCAS), Bremen (Stahlwerke Bremen) and Paris (Arcelor R&D). Since 1996, Christian Standaert is visiting professor at the University of Gent, Department of Materials Science and Engineering. In 2005 he was appointed Director of Arcelor University in Luxemburg and since the merger of Arcelor and Mittal Steel into ArcelorMittal in 2006, he is responsible for the corporate university of the new company. The corporate university offers programmes in leadership and management, in functional expertise and languages. Christian Standaert is also leading ArcelorMittal’s Learning Council, that supports the local and regional training centres worldwide and is member of the Education and Training Committee of the World Steel Association. Sampada Inamdar Dean, Anand U (A Corporate University). A certified practitioner in Organisation Development, Sampada brings with her 20 years of experience in Engineering, FMCG Manufacturing and Consulting. She has a flair for blending technology and business with a human touch. She is a post graduate in Personnel Management from University of Pune, graduate in Zoology and a diploma in Russian language. She is passionate about leading Anand U in institutionalising its contribution to business. Her achievements in the areas of institutionalising change practices such as Organisation Restructuring, Leadership Development, Talent and Succession Planning have been well received. She is a certified Caliper professional, certified McKinsey Change Agent, trained professional in Balanced Scorecard, Business Process Re-engineering from Japanese Management Association and Job Analysis, Mercers India. Valeriia Zabolotna received Higher education in Canada, specialization e-commerce, and has an MBA degree. Also she graduated from Kiev State University with a master degree in social psychology. Valeriia got her PhD in 2007. She is Associate Professor of Social Psychology at the Psychology Faculty at Kiyv State University named by Taras Shevchenko. Valeriia is a professional specialist in the field of management and human resource with intensive training experience, management activities in the field of HR, strategies and tactics of human resource management in organizations. In realizing her life mission she was deeply involved in organizing activities in the field of education, creating and launching educational initiative in IT area (from concept to operations), launched privately owed K12 school. She had intensive teaching and training experience in the field of social psychology, personnel management, conflict management, organizational development, and applied ethics. In 2009 – 2011 Valeriia was Dean of International Relations Department of Psychology at Kiyv State University named by Taras Shevchenko. In 2012–2013 she was Vice-President for HR in BIONIC Hill and Head of BIONIC University, where she was involved in the strategic planning process, forming the team of professionals for creating Innovational Park BIONIC Hill; designing training programs and development programs and successfully execute them; designing performance appraisal systems to appraise the employee performance; solving practical problems. She created and launched an educational initiative in IT area (from concept to operations). In 2013 – 2018 she was Director of Organizational Development in UDP, where she planned, developed, implemented and administered organizational development strategies and aligned HR programs for company employees at different projects and businesses. She was also responsible for development and integration of human resource plans with business strategy, training programs, and associated projects to achieve strategic business goals and operational objectives. Also she was managing and supporting the assessment of organizational needs and the design, implementation and evaluation of programs that facilitate the professional development and continuous learning of team members, particularly in Lean thinking. She developed and delivered proprietary courses on Project Management, Psychological foundations of Personnel Management, Conflict management, Alignment and rotation of personnel, Motivation and staff development, Fundamentals on business communication. Last six years Valeriia was involved in sharing alternative educational practices in different countries, leading the project UNIT Factory in Ukraine and School 21 in Russia. Those projects derived from methodology of Ecole 42, France and was successfully adapted in different cultural environments. From December 2018 Valeriia Zabolotna is Dean of Sberbank Corporate University.nk Corporate University. Nicolas Rolland isPh.D in management. He leads Engie University since end of 2016 when he joined the group ENGIE after 3 years in AXA where he managed AXA University and has in charge to lead Learning, Culture and Innovation for AXA in France. Previously he worked for Danone in Organizational Development, Learning and Digital Transformation. He started is career in 2002 as a Professor and Researcher in Strategy and Organization at Skema Business School until 2007. 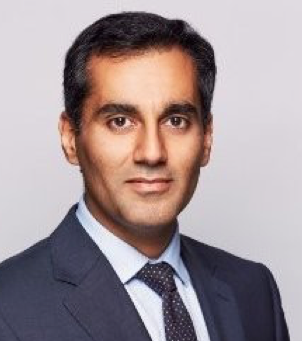 Rafat Malik is the Dean of STC Academy (STC Vice President) at Saudi Telecom (Saudi Arabia) His role is to Build and Lead a Digital Academy for STC and the broader Kingdom of Saudi Arabia. This initiative is an integral part of the Saudi National Transformation Plan and Vision 2030. Rafat is Member of the Board of Governors at University of Brighton (UK), and of the GlobalCCU Advisory Board (France). He was previously Vice President Corporate Partnerships at Financial Times | IE Business School Corporate Learning Alliance in London, UK, a world-leading custom executive education provider. He was employed at Duke Corporate Education as a Vice-President Director, Business Development EMEA, and spent five years at Imperial College London in three senior roles. He has worked in UK government at the Ministry of Defence, military and high technology commercial environments from the outset of his career Including Smiths Aerospace and GE. He is, by training a military aviator (Royal Air Force) and chartered aeronautical engineer. Rafat Malik was educated at the University of Warwick, Royal Holloway College and Kings College London. Including courses at Sandhurst Military Academy and RAF Cranwell.